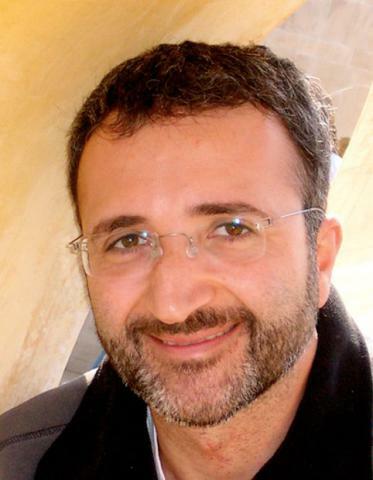 Antonio Roda' (1971) received a Master's degree in Electronic Engineering from the University of Padova (1996), and a PhD degree in Audiovisual Studies from the University of Udine (2007). In parallel, he conducted musical studies, graduating in Violin at the Conservatory of Padova (1994) and in Composition at the Conservatory of Verona (2009). He is with the Sound and Music Computing Group and his main research interests are in computational models for expressive music performance, affective computing, interactive multimodal learning environments, preservation and restoration of audio documents. He has participated in 11 national and international research projects, among them: 2010-2012 DREAM (Digital Reworking/reappropriation of ElectroAcoustic Music), Culture 2007; 2009-2012 SRSnet: Smart Multi-Resource-Aware Sensor Network, Interreg IV; 2005-2006 Preservation and On-line Fruition of the Audio Documents from the European Archives of Ethnic Music, Culture 2000; 2004-2008 ENACTIVE (Enactive Interfaces), European Network of Excellence; 2000-2003 MEGA-Multisensory Expressive Gesture Applications, IST-1999-20410. He is author and co-author of more than 100 paper on national and international journals and peer reviewed conferences. He is currently Assistant Research Professor at the Department of Information Engineering, University of Padova and he is responsible for the course Computer Architectures for the undergraduate degrees of the Information Engineering area.